Cake Mania 2. Games online. Jill managed to reopen her grandparents’ bakery and now is ready for new adventures. 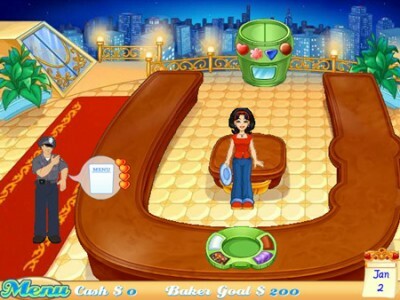 Bake delicious cakes and serve different exotic customers ranging from federal agents to aliens. You can choose between different options where Jill will go next.